Students learn the importance of fitness to the game of tennis. Registration is now open for the 2019 The Summer Juniors Program. ​Program starts July 1 and ends August 23. The SYTC Juniors Program has produced five student athletes who have received college scholarships in the past eight years. 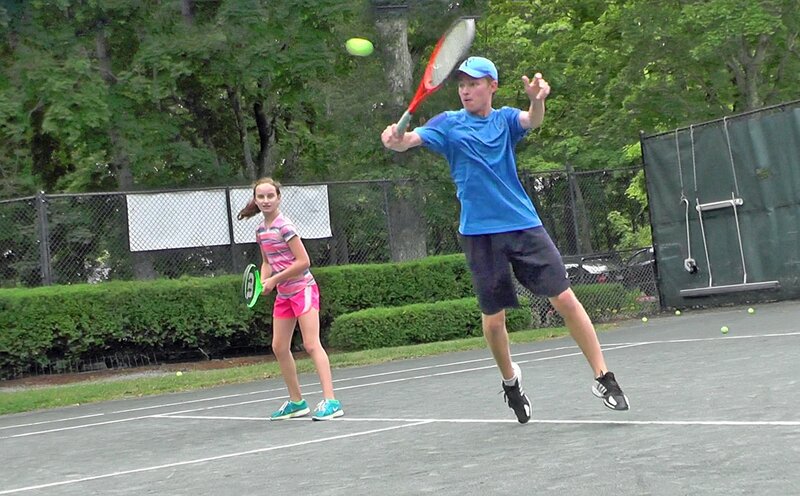 Students are shown the fundamental techniques, skills, and etiquette necessary to play tennis. Instruction, drills, and situational play is provided which will greatly improve player skills level in a fun and challenging environment. Learning to play tennis is the gift of a lifetime – it is the ULTIMATE SUSTAINABLE sport! Tennis is a lot more than hitting the ball. Juniors learn to practice the core essentials through guided discovery drills. Developing good shot technique and proper shot selection is key to winning competitive tennis. Students work ​to develop correct shots and make them become automatic.